On Wednesday, July 16 at 12:00 noon, the Branson Veterans Task Force will observe Atomic Remembrance Day at the Golden Corral, 3551 Shepherd of the Hills Expressway. Following lunch provided by the restaurant, those who take part will attend the Rotary Meeting with special guests, The Original Comets, now playing at the American Bandstand Theater. The ceremony commemorates the 63rd anniversary of the birth of the atomic bomb and recognizes all veterans who have been exposed to radiation in the line of military duty. In 2002, President George W. Bush declared July 16th as a national day for all military groups and veterans associated with nuclear programs. Since July 16, 1945, 1,100+ nuclear weapon devices have been detonated by the U. S. More than 900 atomic detonation tests were in the State of Nevada. Two underground tests were on the outskirts of Hattiesburg, Mississippi. Three were in the Aleutian Islands, while two were underwater tests off the coast of California. The remaining atmospheric tests were at select sites in the central and western Pacific Ocean. During this 63-year period, more than 450,000 U. S. military and civilian personnel participated in the U. S. sponsored atomic weapons tests, all chosen for the purposes of development, enhancement and testing of America’s nuclear program. BVTF Board Member Dawn Easton is the chairperson for this event. The Branson Veterans Task Force holds activities year-round to commemorate important events in our history and to honor our veterans. The BVTF office is located at 138 Pointe Royale Drive in Branson. To contact the office call 417.337.8387 (417.337.VETS) or visit www.bransonveterans.com. ‘Branson World Radio’ Celebrates 10th Season! 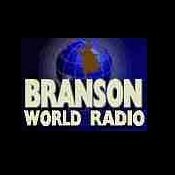 Branson’s FIRST Internet Radio Network is celebrating it’s 10th season with the ‘BWR Welcome Wagon’. We’ll be webcasting from some of Branson’s most popular places and events to highlight why more than 8 MILLION PEOPLE visited Branson in 2007! We’ll have some great Country music from the Classics through Today’s Hits, along with all of your favorite Branson stars, and gifts for eveyone who stops by! PLUS, some of Branson’s BEST entertainers just might come by to say hello! and select dates at Branson Landing. “Glow In The Dark,” an exciting blacklight puppet presentation is coming to Branson Monday, July 21, 2008, 7:00pm at the Hamner Barber Theater. This amazing production features of 35 different puppets, including several large six foot tall puppets. Featured characters are: Neon Leon, the Toobie Brothers, Dooey Wordsworth, and the Incredible Stretch-a-Bellies. The performance is for all ages, and admission is $10 per person or $25 per family, plus tax. For tickets call the theater box office at 417-334-4363 or order individual tickets online at www.HamnerBarber.com/tickets.htm. The One Way Street Puppet Ministry Performance Team from Centenial, Colorado is touring seventeen states during it’s National tour, presenting over 30 different performances in churches, schools and conferences. The team is directed by Dale VonSeggen of Lone Tree, Colorado and Philip Haught of Lutz, Florida. Team members are Trent Black of Paris, Texas; JJ Graves of Papillion, Nebraska; Cory Spittler of Highlands Ranch, Colorado; Jenny Davis of Smith’s Falls, Ontario; and Emily Demerath of Montogery, Illinois.